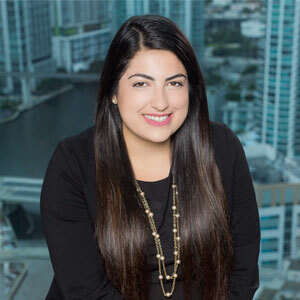 Bily Fernandez is an associate attorney in GrayRobinson’s Miami office and focuses her practice on litigation matters. Prior to joining GrayRobinson, Bily served as a judicial intern for the Honorable R. Fred Lewis of the Florida Supreme Court and the Honorable Adalberto Jordan of the United States Court of Appeals for the Eleventh Circuit. She also served as the Symposium Editor for the Race and Social Justice Law Review. She has always had an interest in causes that help the children of our community and truly believes in the work done by FFCR.